The holiday cottage of "Castle View" can be found in Whitstable in Kent. Sleeping 6 people in 3 bedrooms. The bedrooms are made up of: Double bedroom, double bed (sleeps 2); Twin bedroom, 2 single beds (sleeps 2); Master double bedroom (sleeps 2), en-suite large bathroom, electric walk-in shower. A family sized holiday cottage near Whitstable, Castle View could be the one for you. These are the reviews for Castle View. There are 10 reviews. Great spacious flat with plenty of room for us all. It's got a lovely sea view from the terrace and is in a perfect location to explore Whistable. Would highly recommend. The place was really nice and in good conditions. Overall good. Very poor location - building shakes when lorries go past on the road, and noisy despite double glazing. Inside - excellent standard, although uneven and creaky floors. Blinds on all windows - but curtains would have made it a lot quieter as well as being easier to operate than the roman blinds in the lounge. Top floor quite cold. For some reason lots of flies in the property as well. The apartment was everything that we wanted, clean, spacious & accommodating. 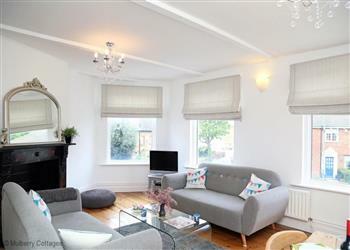 Castle View is an excellent base for a family seaside holiday, stylish but with a truly comfortable and homely feel. Everything you need is provided to a high standard, clean and spacious with very comfy beds, brilliant master suite/ensuite shower room with added bonus of large terrace. I can't recommend this highly enough for families, great location of short walk to Whitstable town centre and very close to the bowling/ leisure centre and lovely outside play area for younger children. It was a brilliant surprise, exceeding expectation based on website. Superb property. Immaculate inside, quality fittings and appliances. Beautiful bed linens. Had absolutely everything you could possibly need, including an unexpected but much appreciated welcome tray...with fresh coffee basic foods and even a couple of beers in the fridge. 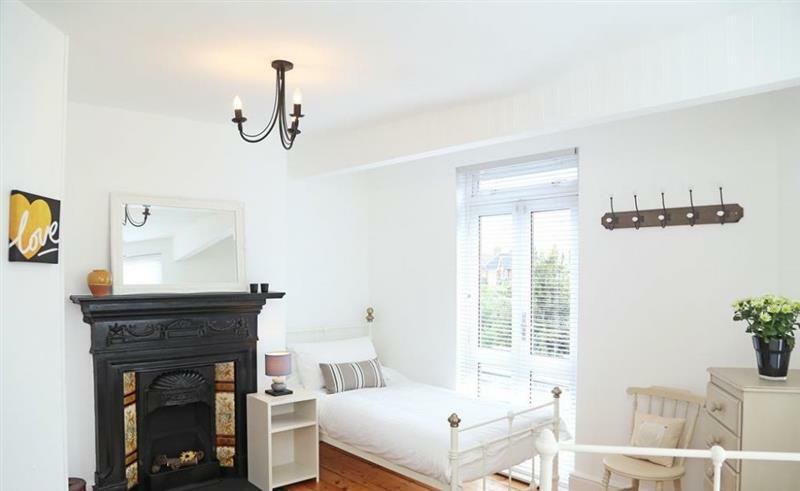 Very nicely refurbished, clean and well equipped duplex apartment within easy walking distance to beach, harbour, shops and restaurants in Whitstable. The only criticism we have is that the two double bedrooms had very thin blinds on the windows and the sun streaming in at 5am woke us all up. The master bedroom also had a glass door to the terrace with fittings for a blind but the blind was not actually fitted. We really recommend that blackout blinds are installed as our sleep quality over the weekend was really poor which is not ideal on holiday. We would have rated the property 5 star if this had not been a big issue for us. The accommodation was really lovely, a beautiful duplex. The only hitch was the shower that did not work in the first floor bathroom. There were several comments in the visitor book stretching back over a year about this problem but still not resolved. If you're looking for other cottages around Castle View, we've got some cottages below which may take your liking. There are 36 cottages within 5 miles of Castle View - and they have reviews too.